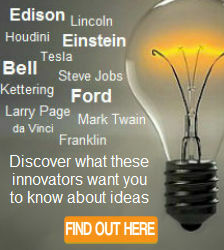 Search our list of inventors for famous inventions. Click on an answer and discover a story about an invention and it's inventor. This inventor was educated by his mother. Who was he? Which of these inventions was called the Boneshaker ? This invention was inspired by the Star Trek television series. What was the invention? c. Voice biometrics (speech recognition). Joseph Lee, Jan Matseliger and Lewis Latimer created different inventions independent of one another. But they all lived in the same city at the same time. What city did they live in ? Pencillin, the World Wide Web and the electric motor have something in common. Which answer is correct ? a. They were invented in the United States. b. They were invented by British inventors. c. The inventors all shared the same first name. These two inventors, George Jenks and Albert Salardi, have something in common. What do they have in common ? a. Their inventions can be found in everyone's home. b. Their inventions were very strange and complicated. c. They were inducted into the Inventors Hall of Fame. Scratch-resistant sunglasses and infrared thermometers have something in common. What do they have in common ? a. They were invented by the same person. b. They were developed from NASA technology. c. They both use the same plastic material. What does an odometer have in common with bifocals ? b. They were invented for car drivers. c. They were manufactured by the same company. Laws were passed to limit the use of this famous invention in the United States. What was the invention ? The inspiration for this famous invention occurred after a hunting trip. What was the invention ? What does pasteurization and the stethoscope have in common ? a. They were invented in the same year. b. They were invented in the same country. c. They were both invented by physicians. Click here for 12 more questions. Then see the next 11 questions here.